This can result in CEL (Check Engine) lights on your dashboard along with poor fuel efficiency, low power and rough running. Free instruction manual shows you how to correctly identify, disconnect, remove, clean and reinstall your MAF. 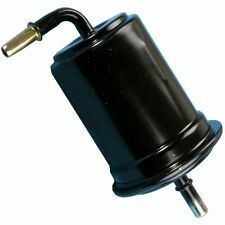 The Filter King fuel pressure regulator has been specially designed to provide a constant and steady flow of fuel under all driving circumstances. 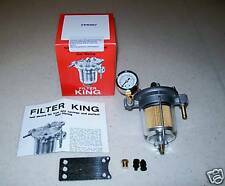 The filter king can be used to drop fuel pressure from pump in line with that required by the carburettor. Folgende Münzen sind im Kaufpreis enthalten Holland 2006 400 Jahre Niederlande Australien. Alle Silbermünzen sind in PP die anderen in Stempelglanz. Auflage: 22.500 Stück. Auflage: 17.500 Stück. Es handelt sich um wirklich schöne Münzen. Finnland 2006 Eu Ratspräsidentschaft. Folgende Münzen sind im Kaufpreis enthalten Holland 2006 400 Jahre Niederlande Australien. Holland 2009 400 Jahre Niederlande Manhatten. Auflage: 100.000 Stück. 1 x fuel pressure regulator Kit. Car Make: universal. Color: Black. Material: Made of light-weight aluminum. Facet Fuel Pump Unions 1/8nptf - 8mm outlet tail (sold as pair). To suit all 1/8npt ports. Schwarzer Schlauchschellenhalter CNC Billet 70mm 25mm Separator geflochten für 12AN Gas. Unten finden Sie eine automatische Übersetzung ins Deutsche. Am 16.04.19 hat der Verkäufer die folgenden Angaben hinzugefügt. 100% New with High Quality. You can follow below process to chontact us. As different computers display colors differently, the color of the actual item may vary slightly from the above images. All pictures are for illustration purpose only and Colours may vary slightly. DA-31 / Bosch 044 Fuel Pump Banjo Fitting. Our custom manufactured fuel pump banjo fittings are crafted from high grade steel and machined to aerospace tolerances. These fittings are suitable for 8mm or 5/16?. BMW E36 Walbro F90000262 GST400-002 400lph In-Tank Fuel Pump - Genuine Walbro! Walbro F90000262 GST400k 400lph In-Tank Fuel Pump. Pump:- Walbro GST400k F90000262. Authentic Walbro, Authorised Dealer. FOR Following BMW models;. This is a motorsport pump and modifications may be required to fit. DCOE, DCO/SP, DGAS, DGMS, DGV, DGAV, DMTL, DMTR, IDF, IDA, DCD, ICH, DCNF, DRT, DFM, DFV, TLDM, DFT, DIR, DFEV, TL, DRTC, DFTH, IDAP, ICEV & many more. 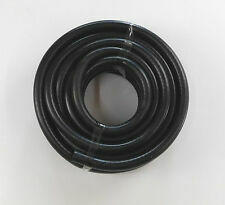 8mm is the most popular for DCOE Weber unions & most fuel lines & will be supplied as standard. EMPI Style Universal Breather Box. BMW MINI COOPER S 1.6 R52 / R53 05/2002 - 05/2007. Genuine NGK Iridium IX Spark Plugs. 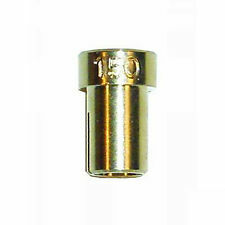 - Fine Iridium tip ensures high durability and a consistently stable spark. - Heat grade 8 are suited for high performance cars with tuned engines. Most modern fuel injected vehicles run a fuel pump in the tank and run much more fuel than it is needed to the fuel rail. However, tuners upgrade the air intake system as well as the exhaust system and often neglect that more fuel is needed to make those mods perform at their full potential. 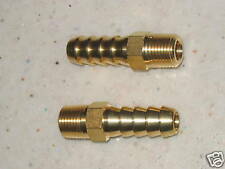 2 x BRASS 8mm Hose Tails For 8mm Bore Fuel Hose. The primary reason for gauge failure is vibration. In a liquid-filled gauge, the fluid fill effectively dampens system pulsation, making the gauge pointer easier to read, illiminates gauge needle "chatter" which is a common factor with traditional gauges. The primary reason for gauge failure is vibration. In a liquid-filled gauge, the fluid fill effectively dampens system pulsation, making the gauge pointer easier to read, illiminates gauge needle "chatter" which is a common factor with traditional gauges. 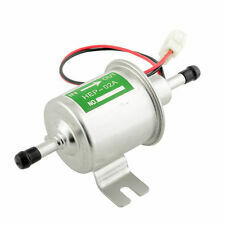 340 Lph HF uprated fuel pump. Flow: 340 Lph. Design: In tank. High flow fuel filter. We're not saying this to scare you. Liquid Filled vs. Traditional GaugesThe primary reason for gauge failure is vibration. In a liquid-filled gauge, the fluid fill effectively dampens system pulsation, making the gauge pointer easier to read, illiminates gauge needle "chatter" which is a common factor with traditional gauges. 255 LPH Uprated Fuel Pump. Flow: 255 LPH High Pressure. Design: In Tank. 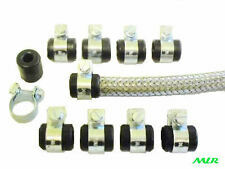 These are complete fuel pump kits which include all drop parts and accessories. High Flow Fuel Filter. 255 LPH Uprated Fuel Pump. Flow: 255 LPH High Pressure. These are complete fuel pump kits and include all drop parts,　and　accessories. High flow filter. Design: Intank. We're not saying this to scare you. The primary reason for gauge failure is vibration. In a liquid-filled gauge, the fluid fill effectively dampens system pulsation, making the gauge pointer easier to read, illiminates gauge needle "chatter" which is a common factor with traditional gauges. 255 LPH Uprated Fuel Pump. Flow: 255 LPH High Pressure. 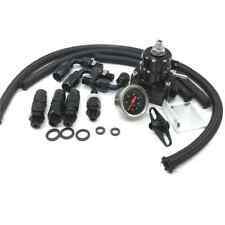 These are complete fuel pump kits and include all drop parts,　and　accessories. Sound Sleeve. Design: Intank. 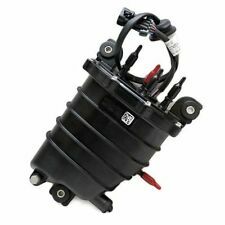 High Flow Aluminium Einspritzleiste für 1.8T 20V VAG Motoren (Audi, VW, Seat, Skoda). Anschluss Kraftstoffdruckregler: AN4. Quality CNC machined alloy fuel rail adaptor for Mazda, RX7 Turbo. 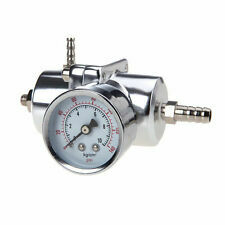 This uses the original fuel pressure regulator seal so no other parts required. Blue Anodised finish. Easy installation. Einbaugewicht: 76g. Das Filtergehäuse wird aus 6061-T6 Aluminum CNC gefräst und anschließend eloxiert. 1 Filtereinsatz. Gesamtlänge: 100mm. 1 Filtergehäuse. FACET PART: 40104. Like all models of Facet Cube Pump it is compatible with gasoline, diesel, biodiesel, and blended alcohol fuels. Genuine FACET Solid State Electric Fuel Pump. JP4mance Tuning Parts Ltd are authorised distributors of Facet products so rest assured this is a genuine item sold with a. When the engine is idling low the fuel flow used compared to full power is only approx 15%. When the engine is tuned the optimum efficiency can be obtained with the optimum mixture of A/F ratio. Precision Adjustable Compact Fuel Pressure Regulator. DASH Schnellkupplungen. hydraulische Handbremsen. Flansche und Schellen. DASH Verschlussschraube. Fahrwerk und Lenkung. Stoßstangen / Verspoilerungen. Teile ohne Gutachten können ggf. Öl- und Wasserleitungen. GSS341 Uprated High Flow 255 LPH Electric Fuel Pump Kit Pump frams size is standard GSS341. Flow Capacity: 255 Litres Per Hour. Mounting: Inside Tank. FACET PART: 40105. Like all models of Facet Cube Pump it is compatible with gasoline, diesel, biodiesel, and blended alcohol fuels. Genuine FACET Solid State Electric Fuel Pump. JP4mance Tuning Parts Ltd are authorised distributors of Facet products so rest assured this is a genuine item sold with a. Race Proven Performance. DevilsOwn Inline filters don’t need any extra fittings to install. This creates two less spot to leak. These can also flow up to 45gph of nozzle size. DevilsOwn Injection. © RACEFOXX. Alle Rechte vorbehalten. Tropffreies Tanken – auch über Kopf absolut dicht! Nicht geeignet für unsere Schnelltankdeckel BMW S1000 und 1199 Panigale und einige Serientankdeckel! Ermöglicht das Tanken in wenigen Augenblicken, sauber und auch in Literschritten. AEM includes one precision-machined billet injector in its Nozzle & Jet kit. 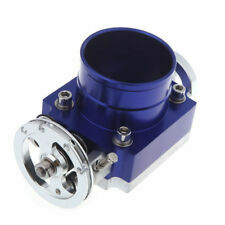 It features an integral check valve to prevent unintended fluid flow. AEM Nozzle Kit Features Injector Nozzle Flow Guide. We're not saying this to scare you. HERE WE HAVE FOR SALE ASELF ASSEMBLYFUEL PRESSURE GAUGE KIT. 2 BRASS 8mm Hose Tails For 8mm Bore Fuel Hose. 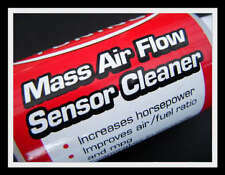 QUALITY PRODUCT SUITABLE FOR FUEL INJECTION SYSTEMS ONLY. Interne Edelstahlkugel - Teflon für gleichmäßige Drehbewegung gefüttert. Edelstahl Inline-Kraftstoff Tap abgeschaltet. -Gehäuse besteht aus 304 Edelstahl für Korrosionsbeständigkeit. -Sicherheit Kraftstoff abgeschnitten Hahn. Die Außenmaße sind jedoch klein genug, um bestehende Aufhänger Baugruppen ohne Modifikation zu passen. Lancia Delta Integrale 2.0 Liter 16v Turbo. Walbro leistungsgesteigerte 255lph Kraftstoff Pumpe ITP239. (3 Weather Seals. Commonly found on MAP (Boost) Sensors and Throttle position sensors. We are always happy to help :). Be confident you will get what you ordered; and if by chance a problem occurs we fix the issue very fast with no quibbles! Facet 40105 Solid State Fuel Pump. Pump:- 40105. Two universal models provide complete coverage for all low and high-pressure carburetor applications for cars, vans, RV’s, and light trucks, in addition to many diesel applications. DASH Schnellkupplungen. hydraulische Handbremsen. DASH Verschlussschraube. Öl- und Wasserleitungen. Benzindruckregler-Adapter für Mitsubishi. Benzindruckregler-Adapter für MitsubishiArt.-Nr. Teile ohne Gutachten können ggf. Supplied with pair of 10mm unions. Two-bolt installation plus the small size makes installation easy. For best results, mount the pump close to the fluid or fuel tank. 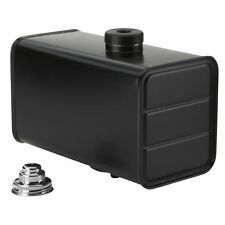 Facet Solid State Electric Fuel Pump Cube. Designed and manufactured at our HQ in Norfolk. Outlet sizes available. CNC ALU Gaszughalter mit Doppelgaszug für Weber DCOE Vergaser VW 2,0L16V ABF !! !